The M621 is a French 20 mm automatic cannon, designed by GIAT (now Nexter Systems). It is used on armored vehicles, aircrafts, helicopters and small coastal vessels in France, India, Romania and other countries. 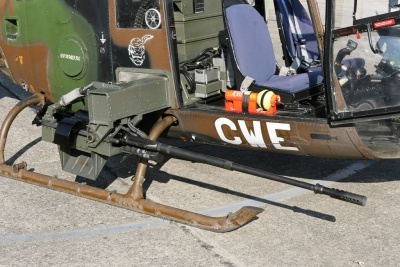 Its variants include THL 20, chin mounting for helicopters; SH 20, door mounting for helicopters; CP 20, pintle-mounted naval gun, and others. The gun entered service in 1973 and is still in service today.